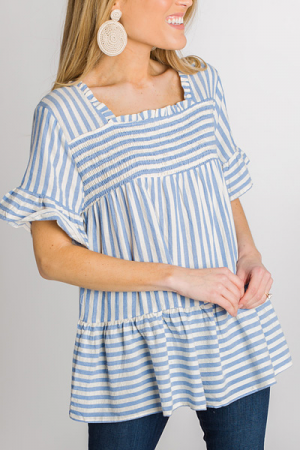 A babydoll fit with soft blue stripes and a squared neck line. Flutter sleeves add an extra feminine touch. 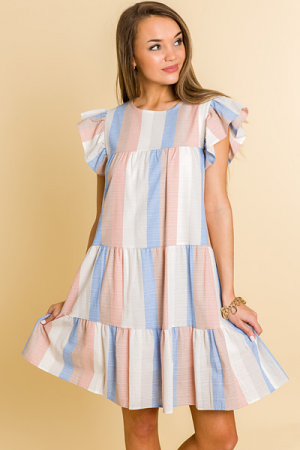 Dress is made from an airy cotton blend, and is fully lined. Smocked back for an easy, pull on fit.